Jeep has announced plans to expand the Cherokee range of 4x4s with a new luxury Overland version. The company says that the new top-of-the-range model provides sophisticated style, elegant interiors, premium equipment as well as the Jeep brand’s legendary off-road prowess. 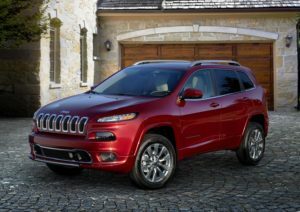 The new Jeep Cherokee Overland comes equipped with a 2.2-litre MultiJet II 200 horsepower turbo diesel engine paired with a nine-speed automatic transmission in either Active Drive I or Active Drive II 4WD. This gives the car a 0-62mph time of 8.5 seconds and a top speed of 127mph. The Euro 6 unit has a 149g/km CO2 figure, due to an improved final drive ratio when compared with the 2015 model year Cherokee, and fuel economy of 50.4 mpg. The new addition features a polished bright front grille, new body-coloured door cladding, front and rear bumpers and wheel arches, new 18-inch polished bright aluminium wheels, standard HID bi-xenon headlamps, and is finished with an Overland badge on the tailgate. The colour choice includes Deep Cherry Red, Bright White, Brilliant Black and Billet Silver. There are powered Nappa leather ventilated and heated driver and front passenger seats with four-way lumbar adjustment, memory driver’s seat and mirrors, a new steering wheel with wood insert, anodized silver bezels and vent surrounds, and Berber floor mats. The interior is available in Morocco Black Nappa Leather, or in a new Pearl coloured Nappa Leather finish. Both interiors have no additional cost and both carry the signature Overland logo in premium stitching on the front seats. There’s an Alpine Premium sound system and a Uconnect radio with 8.4-inch touchscreen display, Bluetooth and GPS navigation, as well as a panoramic sunroof, power tailgate and ParkSense front and rear reverse assist system. 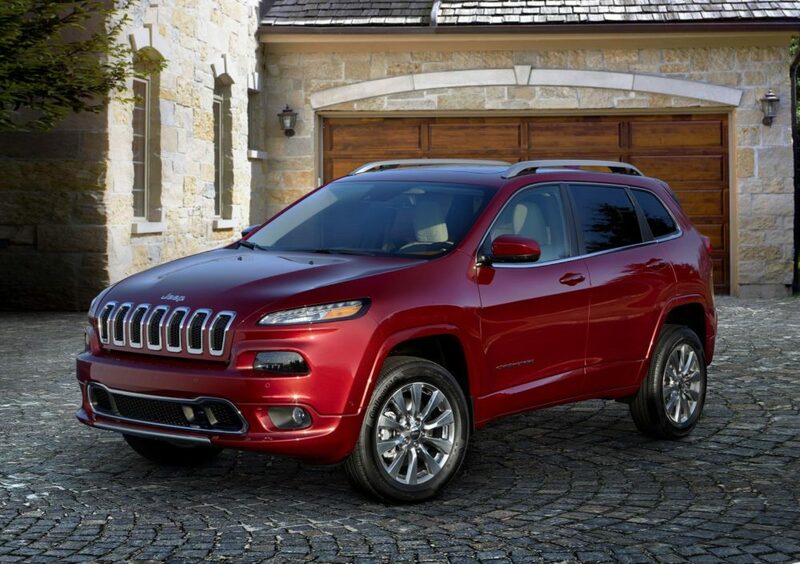 Pricing for the new Jeep Cherokee Overland starts at £38,745.